Read, Discuss, Do! 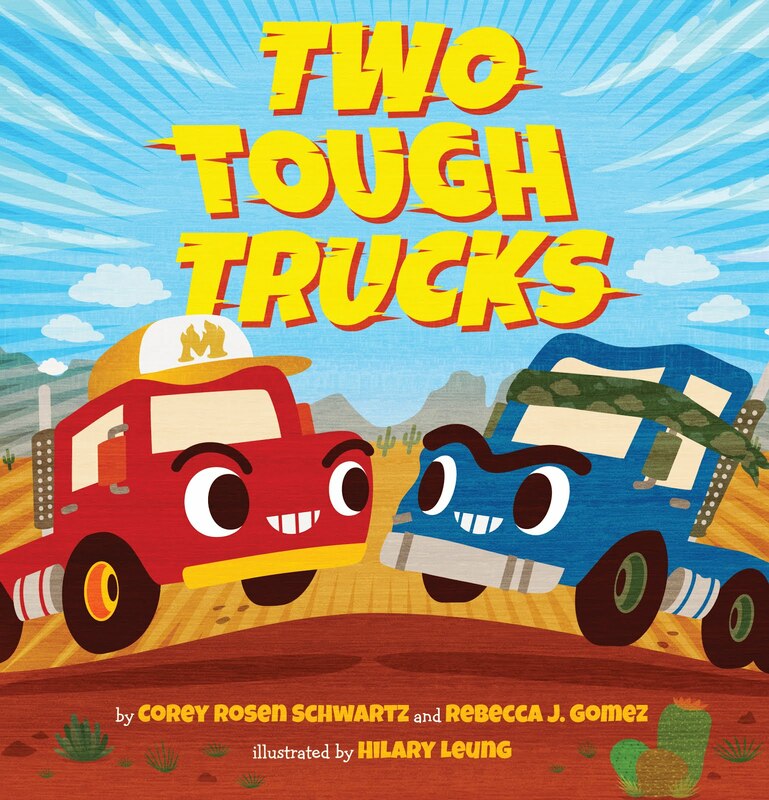 is a social media campaign that aims to give parents and educators quick and simple ideas to enhance story time. You can read a little bit about that campaign by clicking this link. 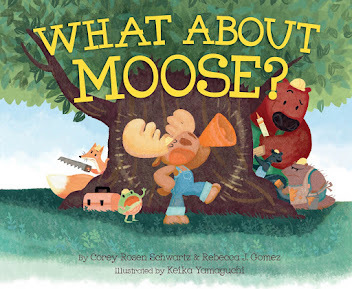 I've decided to make Read, Discuss, Do! a regular feature on my blog in order to share activity ideas that are slightly more complicated than what I usually post to Twitter and Facebook. 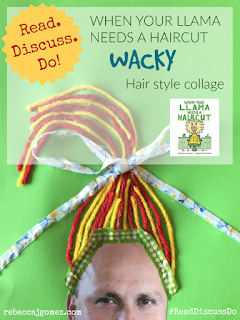 That starts today with a craft idea inspired by Susanna Leonard Hill's new board book, WHEN YOUR LLAMA NEEDS A HAIRCUT! DISCUSS: Have you ever had a haircut you didn't like? How do you feel about getting your hair cut or styled? Why? DO: Create a wacky hairstyle collage like the one picture below. collage items such as yarn, fabric scraps, washi tape, torn paper--whatever you have lying around! Gather your supplies. Cut around the photo of the person so that only the head and shoulders are showing. Glue it onto a sheet of paper, leaving plenty of space above it for the hair collage. Note: I used a glue stick for the photo and white glue for the yarn and fabric. Imagine what you want the finished hairstyle to look like, then design it using your chosen collage pieces. If it helps, draw your design with pencil before filling it in. In the sample pictured, I cut out a photo of my husband (he gave me permission to share it with you), then used yarn for the hair, a fabric strip for the bow, and washi tape along the hairline. Be as creative and wacky as possible! Having trouble thinking of an idea? 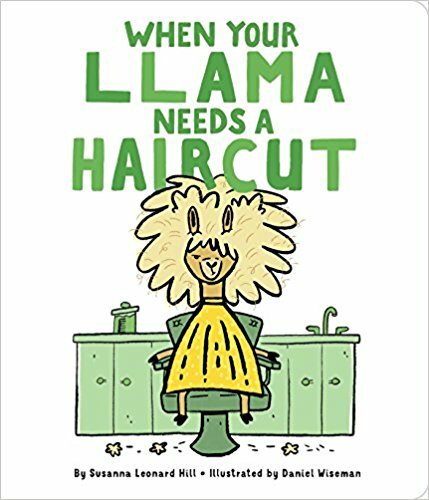 Use the images from WHEN YOUR LLAMA NEEDS A HAIRCUT for inspiration! Have fun! And be sure to put your collages up where people can see them. The one of my husband is on the refrigerator! 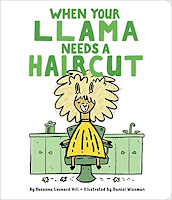 Susanna Leonard Hill is offering a copy of WHEN YOUR LLAMA NEEDS A HAIRCUT to one lucky winner. To enter, simply leave a comment on this post sharing a BAD HAIRCUT story. If you don't have a bad haircut story, anything negative relating to hair will do. One entry per person please. You must be at least 18 years old to enter. A winner will be drawn on Saturday, February 3, 2018. UPDATE: A winner has been announced. Congratulations to Hachen Learning! Once at a school assembly, some punk kids sitting in the upper balcony threw gum in my hair. It was SO EMBARRASSING because they were pointing and laughing at me for the entire thing before someone behind me told me what had happened. My calculus teacher used hand sanitizer to work most of it out, and then cut the few strands that were still afflicted, luckily saving me from needing a hair cut. 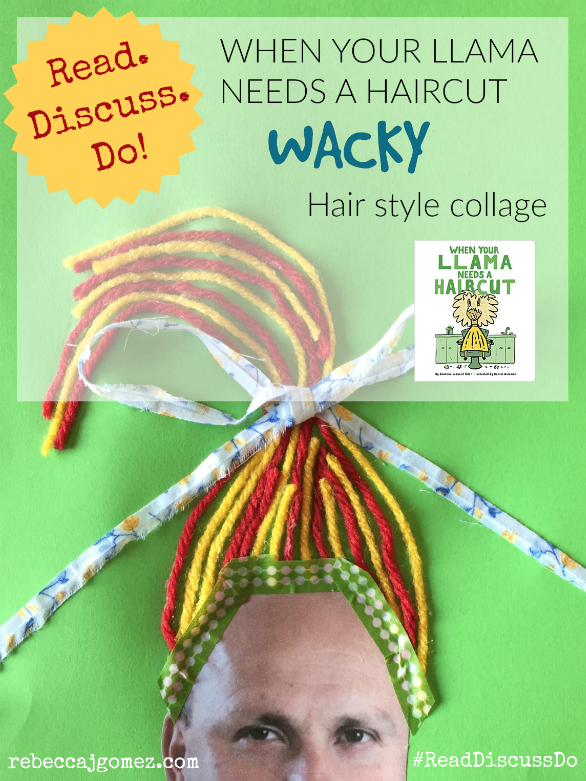 Thanks so much for the fun activity idea to go along with LLAMA, Becky! 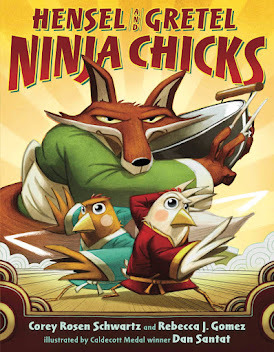 Love this post and can't wait to see other RDD posts for other books! I am obviously not in the running for my own giveaway :) but when I was 6 1/2 and had hair down to my waist I wanted to see how scissors worked on hair and hacked off a big chunk. To my dismay, my mother said it had to be evened out. She made it shorter...and shorter...and shorter! and still couldn't get it even! So I had to go to the barber the next day and I wound up with hair that just brushed by shoulders, more than a foot shorter than it had been! You're welcome, Susanna! That's a classic story. I bet your short hair was pretty cute! My friend cut one of her ponytails off. Her long hair gone in a few swishes of scissors. They had to cut the otger one off and give her a boy haircut! It took a long time to grow back. I remember her mom cried!! Oh my! Now I'm wondering if your friend cried. Also, sometimes I wonder if I'm the only parent whose children never cut their own hair! You win the giveaway! Check your inbox from an email from rebgowriter@gmail.com.